The letterpress pressure print images were created on a Vandercook SP15 Print Press at my recent residency at the Kimmel Harding Nelson Center for the Arts in Lincoln City Nebraska. I created the images with a special printing plate material and printed them with split fountain green and dark grey inks. I created the handmade abaca paper with map and book inclusions in Pocatello, Idaho. Each print is signed and dated on the back. The image size is 5″x7″ and the paper size is 7″x11″. 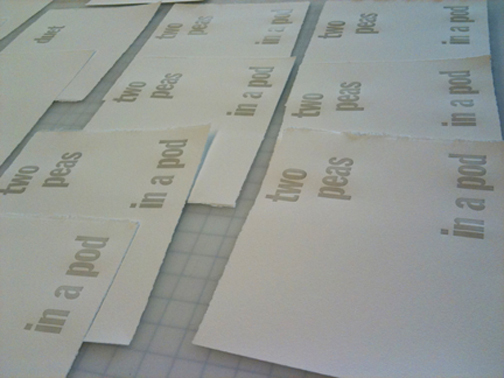 I was delighted to use the Kimmel Harding Nelson Center for the Arts SP15 Vandercook Letterpress for 2 whole weeks. This definitely made my arms strong enough to go canoeing this weekend! 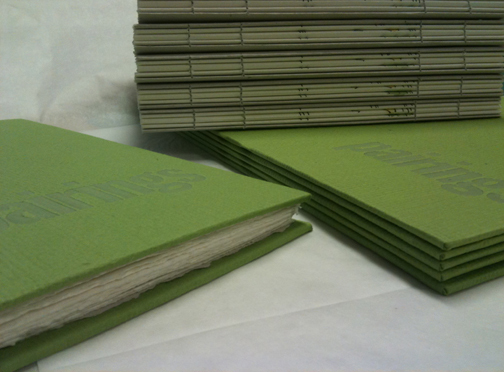 I just finished casing in my edition of 6 artist books, Pairings. Since the illustrations are hand drawn, it is an edition variee. While they are extremely similar, the illustrations make it impossible for each book to be exactly the same. I think it adds charm. The letterpress type in this book was created on a Vandercook Print Press at Texas Woman’s University. 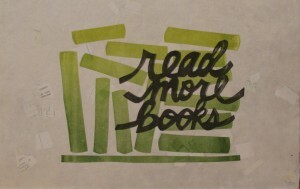 I used some fabulous big metal type to create impressions on watercolor paper with hand torn edges. There are seven pairings in the book. 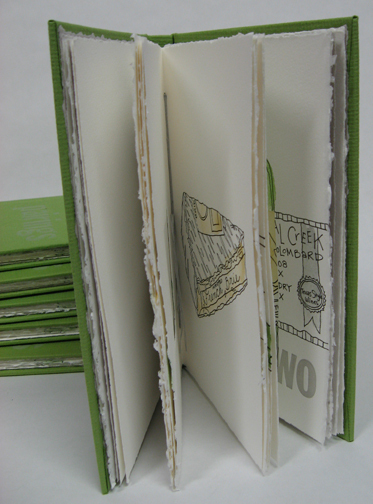 Each book is 9 1/2″ H x 6″ W. Each book has 20 pages and 14 hand drawn illustrations. Each pair is a wine and cheese that I love best together. I had to do some serious research. In this case, a lot of wine and cheese had to be consumed. It’s a hard job, but someone has to do it. The binding is a sewn retchoso binding that allows the book to lay flat when the viewer reads it. I remembered to take a photo before they got cased in. Lovely. 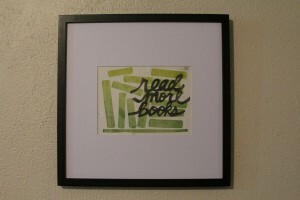 The cover title is also letterpressed onto a lovely textured green paper. Although lighthearted in many ways, the book also poses my thoughts about pairings and how I feel our culture presents that we are better or more whole if we are coupled up with that special someone. Each pairing has their own phrase associated with this idea, such as “two peas in a pod” or “coupling”. You see the wine and cheese together, overlaid through a window that showcases the matched set and both of their best qualities. 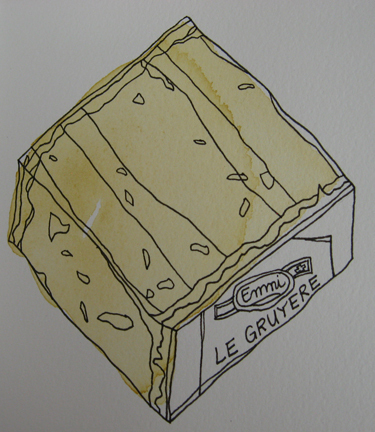 When you turn the page, the cheese stands alone and the wine is left incomplete, with a hole in the bottle. To purchase a book, please visit my etsy store here or contact me. I worked on this edition with Mary Kathryn Wimberly at Texas Woman’s University. Thank you, Mary Kathryn! Greetings! 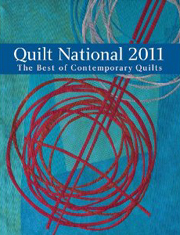 I have just returned from the great adventure of the opening of Quilt National 2011. 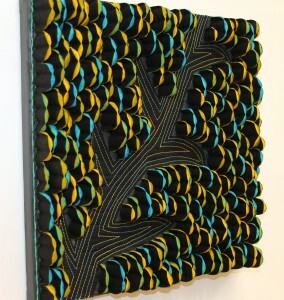 This is my piece, Greek, that you can view at the Dairy Barn in Athens, Ohio until September 5, 2011. It is such an honor to be a part of this amazing exhibition. I was a first time exhibitor, as were about half of the exhibitors for this biennial. The quality and breadth makes for a really engaging exhibit. While the book/catalog is wonderful, it is so much more amazing to see the pieces in person. 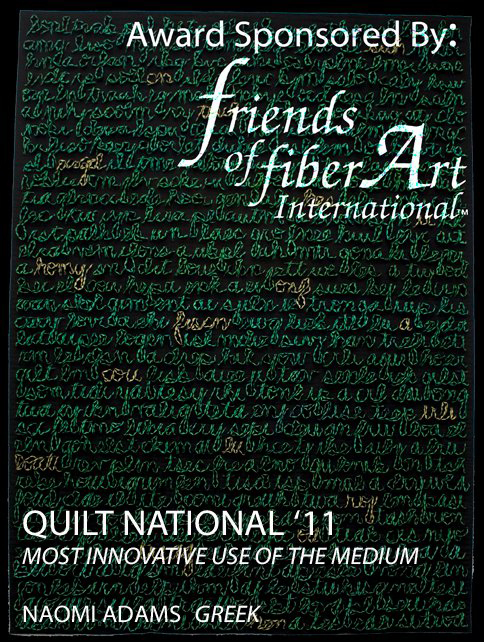 Greek was awarded the “Most Innovative Use of the Medium”, which is generously sponsored by the Friends of FiberArt International. What a pleasure. I met the most wonderful art quilters and friends of textile art! People streamed in from all over the globe for the event. We had pieces from 13 countries and 22 states in the exhibit. 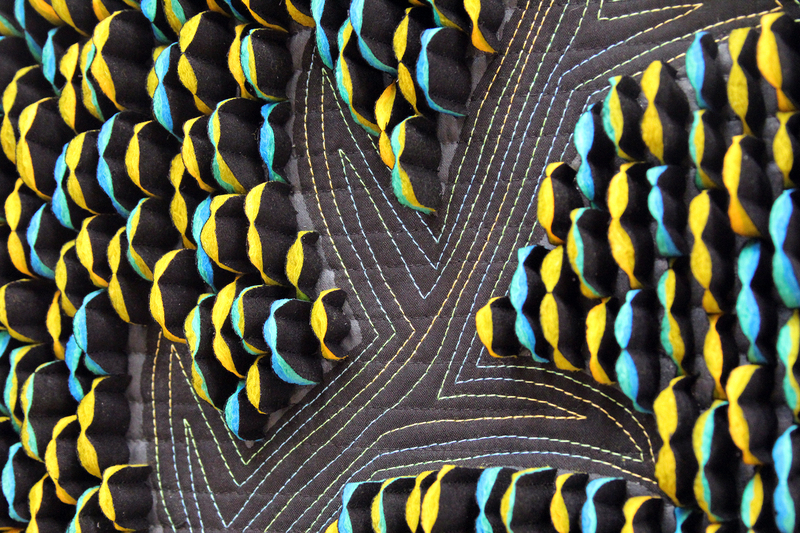 88 quilts are exhibited (85 are juried in), chosen by 3 wonderful jurors, from a sea of over 1000 entries. Lastly, here is my piece and my very own sold sticker! I was delighted to meet the curator and collectors that purchased Greek for their collection. What a wonderful experience. 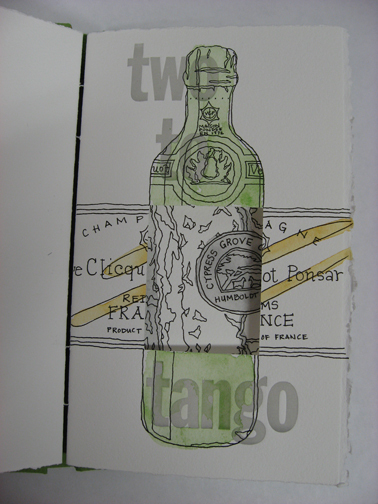 I can’t wait to get to my studio tomorrow and start on a new piece! 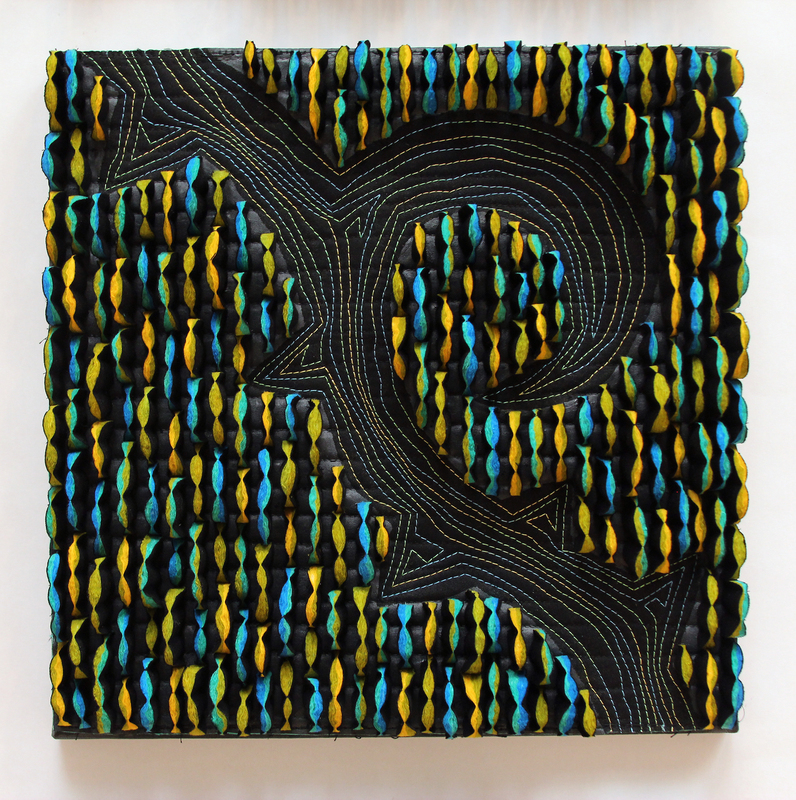 The delightful Judy Kirpich, fellow fiber artist that I met at a Nancy Crow workshop, has the honor of having her piece, Circles No. 4, grace the cover of the book. Order your catalog of the exhibit here. 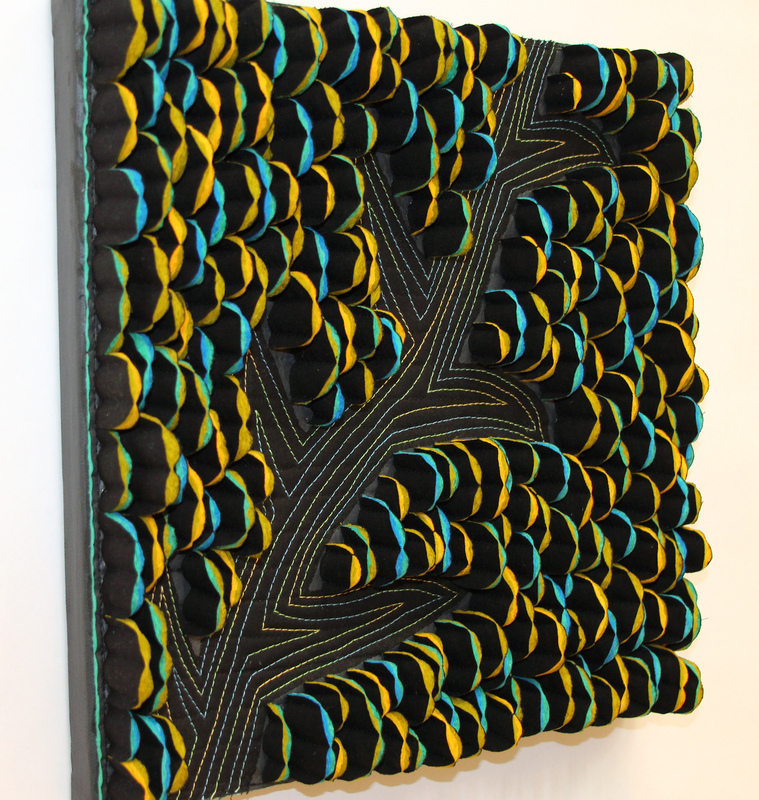 I just thought I’d post some recent sculptural fiber work that I have created. I’ll be working on getting all of my new work on the regular part of my website soon! 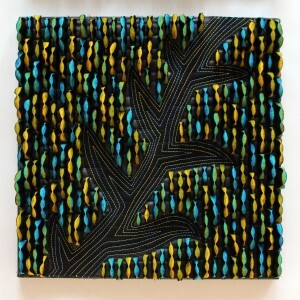 This piece was created as I was thinking about water, rivers and different views of landscapes. 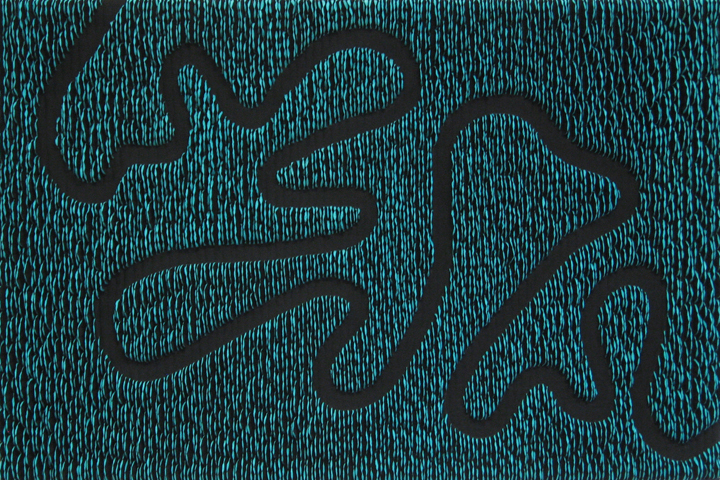 This piece references an aerial view of a meandering river. The lovely turquoise color that you see is my hand dyed cotton batting, which is exposed to your view when I cut up my quilts and reassemble them into these quilted collages. 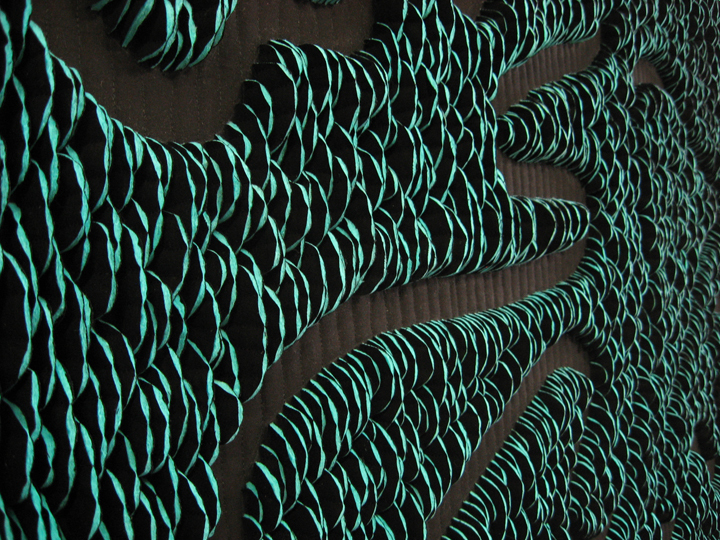 Fluvial was exhibited at the Waterways: Rivers on the Edge exhibition in 2010, where it received a juror’s award. Maybe this will help keep your thoughts warm thinking of lovely summer river adventures during these days of winter! Round Rock Library Solo Show! It’s up! 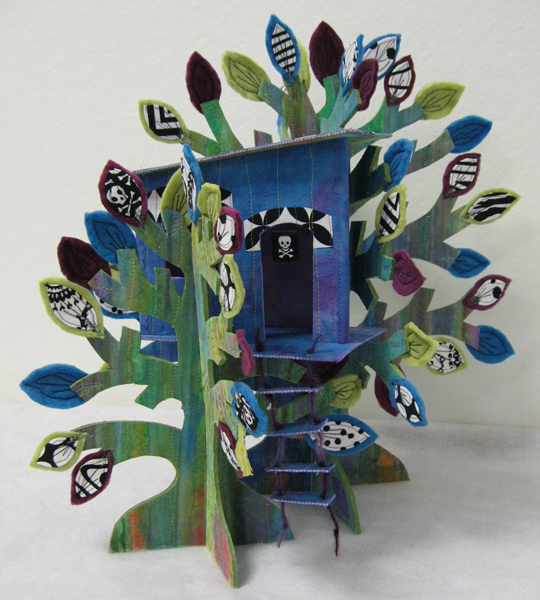 You can see my work during the whole month of May 2009 at the Robert and Helen Griffith Library in Round Rock, TX. Drop by and enjoy the show. The library is on Main Street in Round Rock, which has tons of good places to eat or have a cup of coffee. 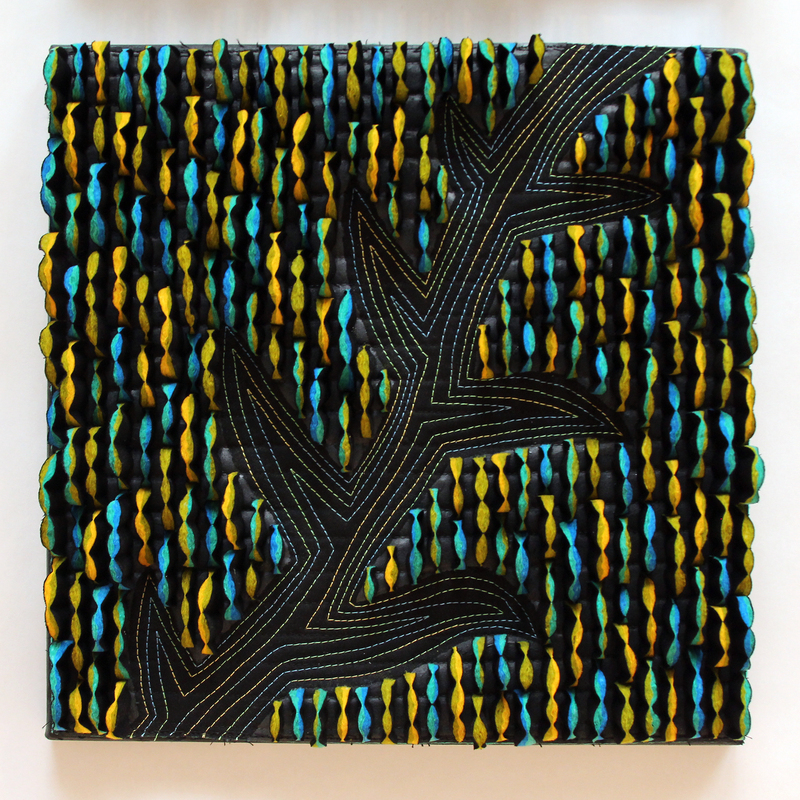 The library director, Dale Ricklefs, was kind enough to ask me to share my textile art at their new gallery space on the first floor. Thank you, fellow quilter, Dale. Thank you to Said Horozovic at the library, Jason King, and my ever enthusiastic husband, Tyler, for helping me prepare and hang the show. I neglected to take anything but my camera phone with me yesterday to put up the show, but I will go back and take some better photos later! 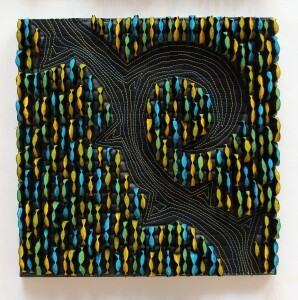 This is my monthly journal quilt for March, 3/12 2009, 12″ x 12″, mounted to stretched canvas. This piece started with a sketch from my sketchbook last month, and then took a different road while I was making it! 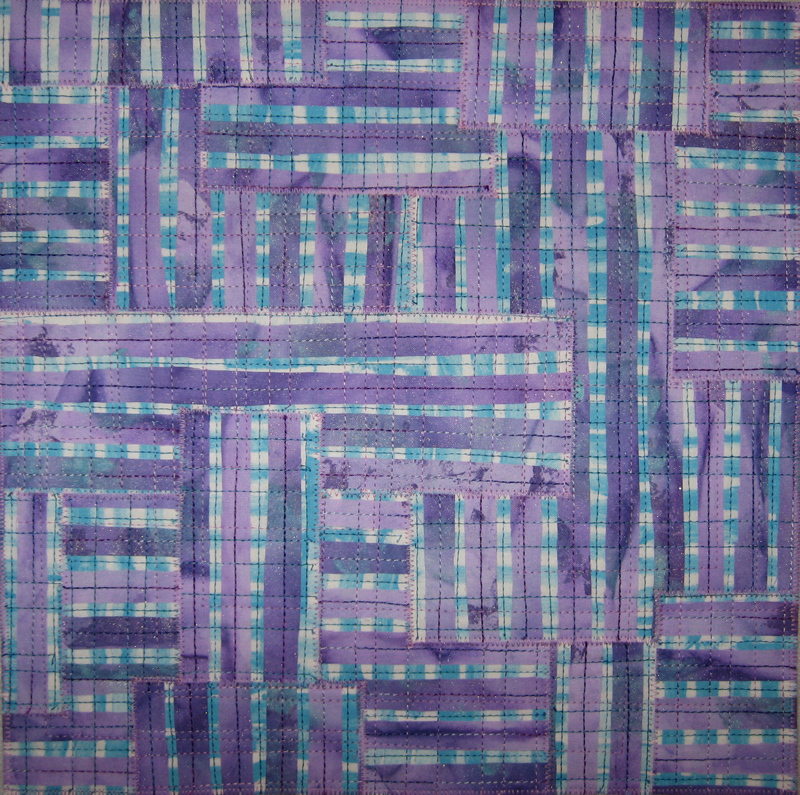 I started this piece with a purple piece of my hand dyed fabric for the background. 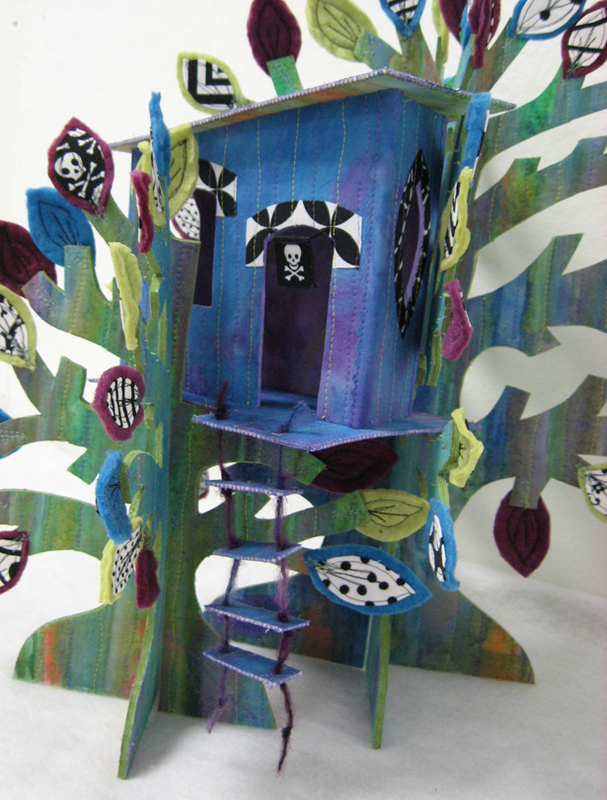 I then used a foam stamp to print circles on the background with 3 colors of purple textile paints. 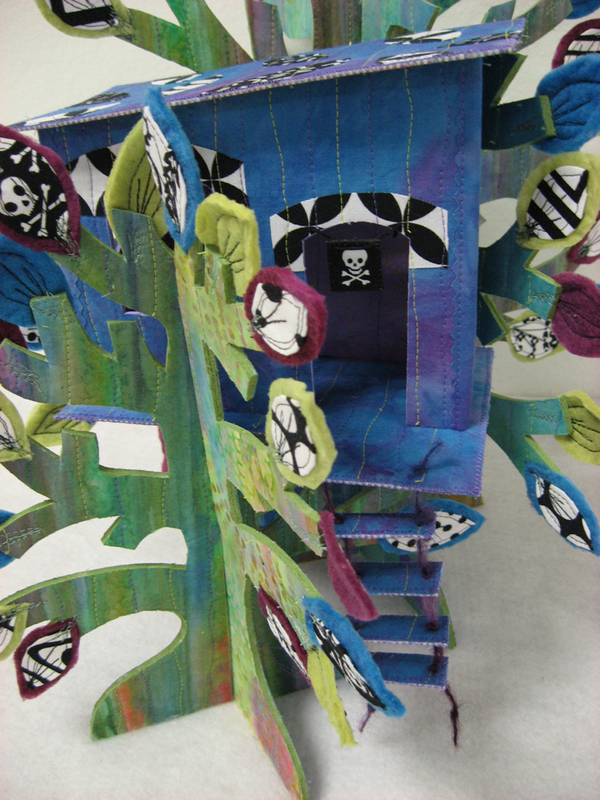 I then added the two flowers by fusing fabric to the background. The purple circles are from a single piece of my hand dyed fabric that had tons of color variation in it. 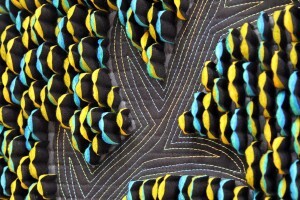 The green stems are from a commercial batik fabric. 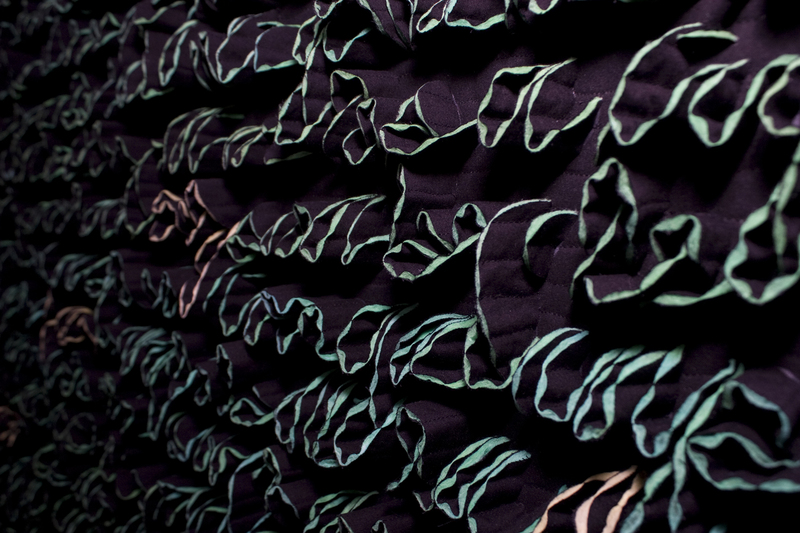 To finish the piece, I quilted it with wavy lines with a purple variegated cotton thread. I then zig zagged the edges and went to water the lawn. Happy spring!